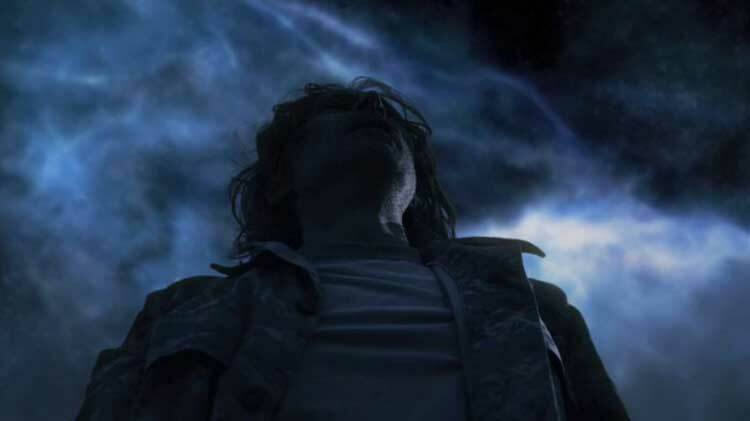 It’s easy to criticize the creative choices that slowed down the momentum of SGU’s first 10 episodes. The writers focused on building the characters, and some viewers had little patience for it. Episodes didn’t revolve around alien races and outer-space adventures in the same vein as SG-1 or SGA. Those moments would come in the season’s back half and reward fans who stuck with the show. The stakes felt so much higher at that point because we’d experienced the early days with the characters. If they’d discovered an alien ship in episode two, it would have seemed fairly mundane. Putting this moment in the 10th episode brings quite a different reaction. “Justice” serves as a bridge to a much longer journey with no apparent end. The Destiny has become a new home and isn’t just a place to escape. Enemies will soon come and threaten the crew, but they first must tackle real dissension in their ranks. It’s quite a talk-heavy episode for a mid-season finale, but it works because of the growing tension between Rush and Young. 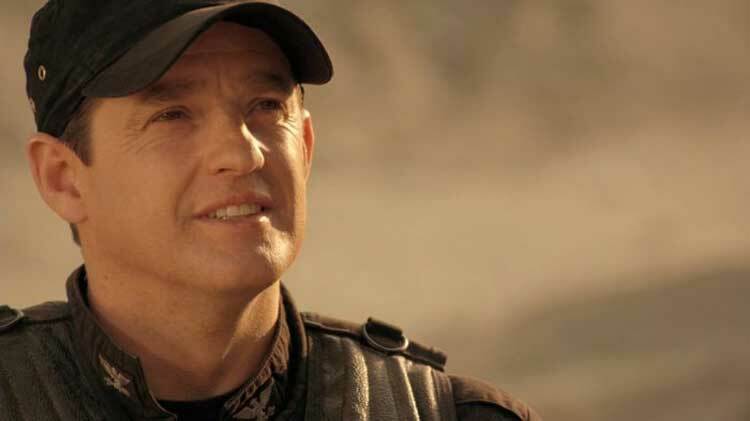 They’re the Locke and Jack of SGU and have completely different motives for every action. By the end of the episode, both men will have made shocking choices to seize control. There’s a sense that neither can go back, and the Destiny’s fragile society is on the brink of disaster. This episode’s plot hinges on Rush’s decision to frame Young for the death of Sgt. Spencer (Josh Blacker). However, their conflict goes back much further than just this move. Young’s growing distrust of the brilliant scientist has come with the recognition that Rush doesn’t care about the others. For a military man tasked with bringing everyone home safely, it’s too much to work with a loner who has his own agenda. Young may seem like the hero in the white hat who acts to save the Destiny from its enemy, but it’s hardly that simple. When he pummels Rush and leaves him for dead on the planet, Young isn’t acting to stop an imminent threat. His move is just as vile and petty (if not more) as anything that Rush has done so far. It’s been fascinating to watch the demons rise inside Young during the season. Louis Ferreira plays him as a stoic soldier with a slow and deliberate manner of speaking. Even when he beats up Telford back on Earth, he doesn’t scream at him and quietly inflicts punishment. He’s angry about so many things — estrangement from his wife, Wray’s attempts to undermine him, and dealing with Rush. Part of Young was probably relieved to learn that Rush planted the evidence. This move gave Young’s conscience a way to justify removing his biggest nuisance. The foolish decision from Franklin (Mark Burgess) to sit in the chair was easily blamed on Rush. Young had enough ammunition to feel good about essentially murdering Rush on the planet. How should we look upon Young now? In the context of the Stargate franchise, military guys like O’Neill and Sheppard have always been the leaders we admire. Young may have acted selfishly, yet he is still trying to save the people on the Destiny. He’s hardly a conventional hero, however. Scott is the more obvious choice, but he’s a bit too green to fit into the lead role. Rush believes he’s the hero because he’ll do anything to support the right mission. The writers don’t do Wray any favors, but she believes removing Young is the right choice. There’s no clear good guy and bad guy in this series, and it makes for a much richer story. The final scene between Rush and Young is thrilling because it’s hardly the comeuppance you might expect. Rush doesn’t apologize or try to talk his way out of the situation. Instead, he doubles down and loudly proclaims that Young is the wrong man for the job. Robert Carlyle spits out the “we’ll never be done!” reply with such defiance that it’s hard not to root for Rush. He may have acted unethically and taken advantage of a sad death, but he’s looking Young right in the eyes. I expect that Young doesn’t plan to leave Rush on the planet and just wants to teach him a lesson. Rush’s inability to stand down drives the conflict to greater heights. 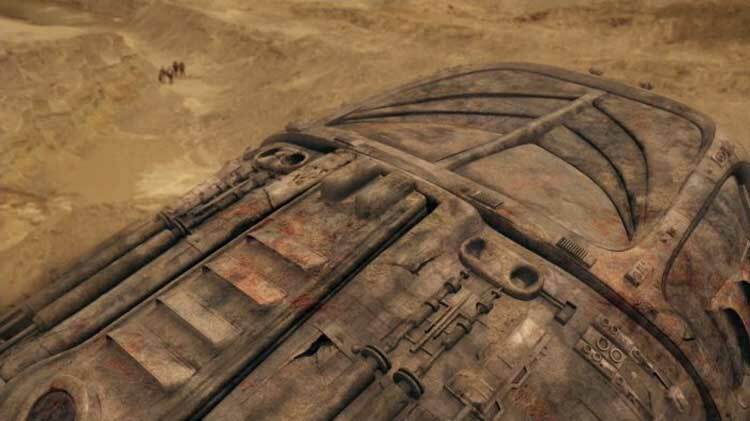 Nearly forgotten in the personal conflict is the remarkable discovery of an alien spaceship on the planet. For a guy like Rush, the battles with Young are secondary to the real mission embodied by this ship and the Ancient chair. Finding technology from an entirely new alien species deserves the attention. Like Daniel Jackson in “The Torment of Tantalus”, Rush might be okay with dying on this planet if it meant he could really study the ship. For the writers, this ship also provides a convenient safety net for Rush’s survival. There’s no chance they’d kill off their most intriguing character after 10 episodes. Beyond that fact, it also pushes the sci-fi elements of the show forward. I love the emphasis on characters, but it still is a Stargate series. There’s also a sharp contrast between the brutal results for Franklin with the Ancient chair versus the devices faced by O’Neill on SG-1. You can’t really blame Rush for Franklin’s rash choice, but Rush’s unemotional response doesn’t help matters. He can’t turn off the part of his brain that’s fascinated by the science behind the chair. I don’t believe that Rush enjoys watching others’ pain. He’s just focused on larger issues than any individual. Like Spencer, Franklin is just ready for all the turmoil to end. We’ve reached the point where the weaker figures start dropping. The alphas are battling for control regardless of what it means for the others. Rush may be important to their survival, but Young’s anger is too strong to consider that fact. 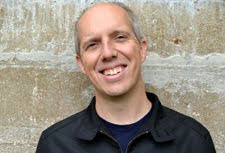 “Justice” was written by Alan McCullough and includes a series of conflicts between pairs with opposing viewpoints. Looking beyond Rush and Young, the others are starting to draw their own battle lines. Wray prosecutes the case against Young and gets in Chloe’s face about her vigilant defense. She also faces down an unhappy Greer after telling others he was the prime suspect. 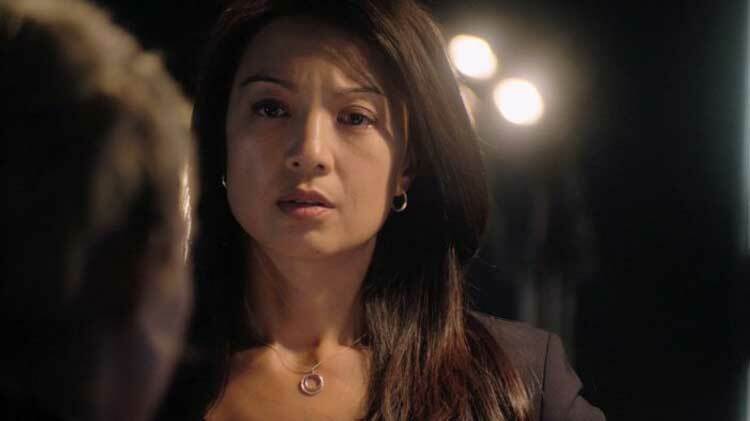 Ming-Na Wen does the heavy lifting in trying to make Wray a strong character. The writers haven’t given her as much to work with compared to the soldiers and Eli. Watching her quickly step down as a leader is disappointing because it sets her up as a less capable character. She’s in the wrong in going after Young, but her unwillingness to accept military rule is justified. There’s also an interesting moment between Eli and Young at the end of the episode that reveals another potential rift. They share a secret about Rush’s involvement in framing Young that could raise questions about Young’s motives on the planet. David Blue does a nice job conveying Eli’s turmoil without saying a word about it. Eli occupies an interesting spot as a valuable member of Rush’s science team but a trusted ally for Young. He’s right in the middle between the opposing forces and wisely steps away to avoid the blowback. “Justice” moves slowly and doesn’t feel like a mid-season finale, and there’s a good reason. It was originally planned as the season’s ninth episode but was moved back when “Darkness” and “Light” were split. Despite this shift, the final cliffhangers leave enough intrigue to keep us wanting more by the end. It’s really too bad that the network inserted a four-month break until the next episode. That’s far too long a gap, especially after the growing conflicts in this episode. This lost momentum would be hard to regain even with several great episodes following the break. SGU works much better on DVD or streaming now than in its original airings. This slow-burn episode perfectly sets the stage for the fireworks to come in “Space” and “Divided”. The aliens hinted at through the spaceship will become an imminent threat, and the civilian/military split just keeps growing. We’ve reached the point where the strong foundation pays off in spades. “Justice” is the final piece in the puzzle to set the stage for greatness. We’ve had some bumps along the way, but we understand this group of characters. Wright and Cooper deserve credit for sticking to their guns and taking the long view with this story. I can’t wait to rediscover what’s coming, and I don’t have to wait four months to do it. 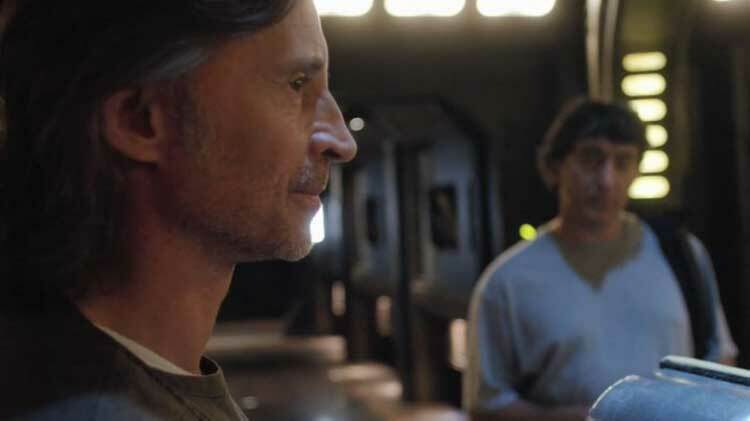 This article is part of the Reconsidering Stargate Universe series, which takes a up-close look at each SGU episode. Catch up with all the entries on this page. More and more i am loving your critiques on this awesomeness that was SGU..
Glad to hear it, David! It's been great to give the episodes a fresh look. It's been a while since I've seen them in some cases. Thanks! Great writing here, Dan. Despite me only just finishing a rewatch of the series a few months back, reading your thoughts makes me want to revisit again already. Personally, enjoyed the more personal, character-driven level of SGU compared to the other SG series. It's what made it stand out. I was slightly ashamed of other long time SG series fans who were hating the show because it wasn't following the same template as previous SGs. The Young/Rush relationship was perfect. Really liked how you've talked about their individual motives, and how both characters, and perhaps all, are just so grey in this show. There's no black and white whatsoever, and it was refreshing for an SG show to have that. I think I never gel'd with Wray as a character because she was written so poorly. At the time I put it down to Ming-Na Wen, but looking back it's clear she wasn't given anything great to work with. Think that's one thing that the SG franchise has always struggled with - writing strong female characters. Honestly think Amanda Tapping's Sam Carter is the only truly well written, strong female character in the entire 'verse. Man, if Netflix decided to pick up the Stargate franchise again with universe, I would not be unhappy. Thinking about it actually - do they have a full on sci-fi show of their own...? In terms of sci-fi in space, Netflix has yet to really do their own show at least from my memory. I do feel like SGU would do very well in our modern TV landscape and without the baggage of following Atlantis. I doubt they could get everyone together again, though. Brian J. Smith (Scott) is on Sense8, so maybe he has connections? It's total wishful thinking but would be amazing. In terms of Wray, I agree that there's a larger issue in how the writers depict the women in the shows in general. They definitely are more comfortable writing the men or at least the women in the military like TJ or Sam Carter in the past. I don't feel like they do a great job with either Wray or Chloe especially. They're most comfortable writing for Rush, Young, and Eli. I've really been enjoying re-watching the show and taking my time to think about each episode. It only gets better from this point (especially in S2), so I'm excited to check them out for the first time in a while. Whoever couldn't do the continuation -- their stasis pod broke down and they died. I could see SGU being even better as a 13 episode season, so maybe they could film in other show's off-seasons? I thought Wray developed quite well, although maybe not at first. They had a great window of development for Chloe during the Justice trial, but they didn't follow-up on it. Brad Wright's idea for season 3 was that Chloe's stasis pod fails and she is practically dead. The only way of saving her body is to upload Ginn's consciousness into it, so Elyse Levesque would be playing Ginn. Then Scott becomes the third wheel in the love triangle (pardon the mixed metaphor). The hardest actors to get back at this point would be Carlyle (OUAT) and Ming-Na (SHIELD), although OUAT may be close to done. Don't get me wrong; I'd love to see SGU as a limited series. It can be a mixed bag like with The X-Files, but there is potential for more greatness like we're seeing with Twin Peaks so far. I agree that a shorter season (maybe even 8-10 episodes) would give a better chance of having more actors return. The question is if there's a demand for it. I know that SGU's fans would be down, but we're a smaller number than something like The Gilmore Girls. You never know, though. Rush is totally responsible for Franklin sitting in the chair. His whole talk to the scientists was him convincing them that the only way they would ever get home is if someone sat in the chair, which he was afraid to do because he knew it was too dangerous. Young completely called him out on that, twice. Rush didn't know it would be Franklin per se, but he was going to convince someone to do it, making them think that it was their own choice. You also have to remember that Young's life is coming apart. Even if he believes his wife is not sleeping with Telford, she thinks he is still sleeping with TJ, and there's not much he can do to convince her otherwise. Also, he feels personally responsible for all of the deaths under him -- at this point, Cpl Gorman and Sgt Spencer. Being the "caring commander", these deaths weigh down on him. His biggest failing as a person is lack of impulse control. Until "We will never be done", I believe he fully intended to bring Rush back, but then he realized that Rush would be a problem that would never go away and in the moment saw leaving Rush behind as his best choice -- obviously, he didn't completely think that one through. In the following episode, he clearly regrets the decision. The reason I love this show is the realism. How many times have we done terribly stupid things, even dangerous things, that we just pretend never happened? I definitely agree that Young didn't plan to leave Rush on the planet. He wanted to confront him and see how Rush reacted, and something snapped in Young's mind for a moment when Rush challenged him so directly. You bring up a good point that everything leading to that moment all played a role in what happened on that planet. What really works on SGU is the way that Young's decision remains part of the story for a long time. It doesn't disappear a few episodes later. Thanks for the comments!